I have found more information about the Manystones Paint Shed.In 1888 the firm was known as High Peak Paint & Colour Works, Manystones (Hopton Stone) Quarry Company.. which may mean that Thomas Brittain and Joseph Banks were fellow Directors.. Joseph possibly in charge of the Paint Works ? In 1883 the firm was known simply as Manystones Quarry. Thomas Brittain and Mary nee Colledge had children Sarah Matilda who appeared to live with her Grandfather George Colledge at Greenhill Wirksworth..She married Alfred Fox.. of my wifes family, whilst her brothers George, Thomas and William lived with Thomas and Mary for a time at Bradford Street Aston Birmingham..which is a little coincidental as some of my Flint family also lived at Aston in the same era.. (also at Darlaston ) Thomas Brittain born 1839 Christened at St Phillips Church Warwick Birmingham originally a Die Sinker (Engineer) was son of Henry and Anne Brittain nee Vincent married at St Mary's Church Handsworth 1833.. Henry also a Die Sinker Thomas Edward Brittain son of Thomas and Mary Brittain nee Colledge married into the Brindley family of Brassington, Grocers.. Brindley's related to the Petts family of Middleton Monumental Masons, one of whom Ada Petts, daughter of John James Petts brother of Bertram Petts (the brother's founded the monumental firm still in business today under the care of Bertram Petts's Grt Grandson, their works next door to where I lived in my youth at Chapel Lane Middleton.. Ada Petts daughter of John James Petts married my Uncle John Samuel Flint.Steam Engine Driver ...brother to Harry Sprake Flint my father. We are fascinated by your website. You have done a tremendous amount of work. My Great Great Grandfather, Joseph Banks, owned Waterholes lead mine near Brassington in 1896. He and his family lived in Carsington then on Manystones Lane, Brassington. We visited Joseph's grave in Carsington last Saturday then walked over the hills to Brassington. It fired our imaginations. A distant relative now living in Australia contacted me through the Genes Reunited website to say that we had a relation in common - Captain Banks, one of Joseph's sons. We have since discovered through YOUR research what a big family Joseph had. If you find any information about the Banks family history I would be very grateful to hear from you. 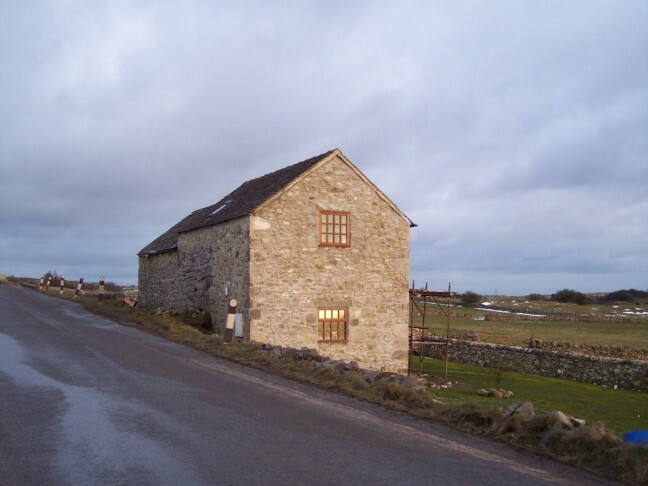 Do you know if the house in the picture attached is Manystones Paintshed as featured in the 1901 census? Yes I can help. Kathleen Heathcote(Banks) will I am sure confirm that the building is the former Paint Shed. I will go and see her today or tomorrow. Your correspondent has many relatives around Brassn.